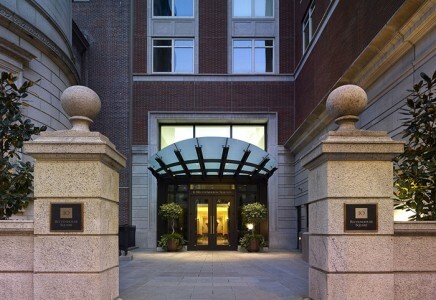 10 Rittenhouse Square blends sophistication with unparalleled, state-of-the-art amenities. World-renowned architect Robert A.M. Stern’s 33-story red brick and limestone design towers above Philadelphia’s landmark Rittenhouse Square Park, offering breathtaking views of the city skyline. Inside of the building, marble floors, Venetian plaster walls, and immaculate furnishings accent the formal oval entry lobby, foreshadowing the impeccable details that permeate 10 Rittenhouse’s condominium residences. Residents of 10 Rittenhouse receive the amenities of a 24-hour concierge and additional private entry directly on Rittenhouse Square. World-class shopping, dining, and cultural events are only footsteps away, providing a balance between Philadelphia’s rich culture and the internal comfort that 10 Rittenhouse provides. Let the James ‘Right’ Price Team’s real estate acumen find your new Philadelphia luxury condominium home in this elegant Rittenhouse Square building today!